Jonathan Agnew (Aggers) was born in Macclesfield, Cheshire in 1960. Before entering the world of broadcasting, he had a successful first-class career as a fast bowler for Leicestershire and won three test caps for England. Since then, he has worked as a cricket journalist and has spent twenty years as a commentator for Radio Four's Test Match Special. He lives in Leicestershire with his family. Perfect for cricket fans everywhere, Thanks Johnners is a warm and witty tribute to Brian Johnston and his time at the helm of Test Match Special. The Test Match Special on-air incident, in which Jonathan Agnew's comment on Ian Botham's attempt to avoid stepping on his stumps – "He just couldn't quite get his leg over" provoking prolonged fits of giggles, most notably from Brian Johnston, has been voted the greatest piece of sporting commentary ever. The friendship between "Aggers" and "Johnners" became immortalised through that broadcasting classic, but there was a far deeper bond between the two men, as this fascinating book reveals. Jonathan Agnew had grown up to the sound of Johnston, Arlott, and a young Martin-Jenkins et al on TMS as he followed his father around on the family farm, ear glued to the transistor radio, but the two men met formally only when Agnew joined the BBC team at Headingley in 1991. Thus began a great working partnership which, fuelled by a mutual passion for the noble game, bridged the generation gap and ended only with Johnston's sudden death in 1994. As this book demonstrates so convincingly, Johnners's wit, warmth and sense of fun was a feature not only of his cricket commentaries, but also in the way he lived his life. His influence on "Aggers" is clearly recognisable in the same amiable and informal manner in which his successor presents Test Match Special today. Thanks, Johnners is a rich blend of biography and anecdote, of antics and dramas on and off the pitch, in and out of the commentary box, its pages filled with stories about the great names of cricket including Fred Trueman, Geoffrey Boycott, Vivian Richards, Michael Holding and Ian Botham. Just as TMS is the sound of summer, so Thanks, Johnners is the fresh breeze rippling the long grass of remembered pleasures. An inside account of England’s Ashes triumph in Australia 2010/11. England’s much celebrated Ashes win by two clear matches with three comprehensive innings victories must rank as one of the finest of any English cricket team from any era. It kept people at home glued to their televisions, computers and radios – often all three at the same time – long into the night as the bitter winter and a depressed economy were forced into the background by the sheer joy and exhilaration of giving the old enemy a trouncing. It had been twenty-two years since a touring side won three Tests in Australia and twenty-four since the Ashes were last won on Australian soil. The current England team bears worthy comparison with some of the legendary teams of the past, captained by greats like Brearley, Hutton and Jardine. Andrew Strauss with back-to-back Ashes wins can now sit amongst that illustrious company. From the first ball of the tour in Perth to a closing rendition of the infamous ‘Sprinkler Dance’ on the outfield in Sydney some two months later – a clip that received some 250,000 hits in just three days – one person was there throughout, BBC Cricket Correspondent Jonathan Agnew, better known to his legion of Test Match Special fans as ‘Aggers’. Following the success of his last book Thanks, Johnners, Agnew has written a highly personal diary of his experiences in Australia. Whether he is sharing late night conversations in the bar with England coach Andy Flower, exchanging banter with new TMS recruit Michael Vaughan or keeping cricket junkies around the world sated with his daily Twitter feed, Aggers brings his unique sense of theatre and excitement to every day’s proceedings. 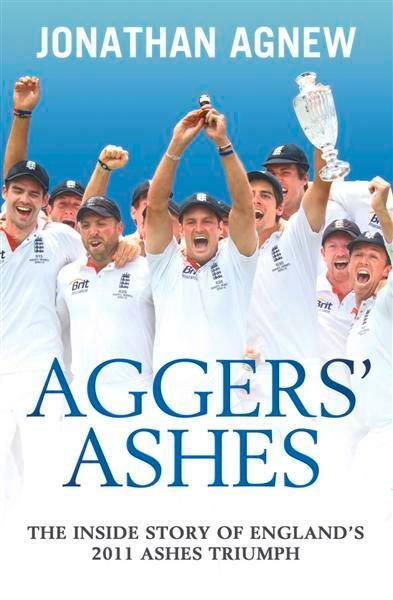 With additional contributions from the best BBC cricket bloggers and the resident TMS statistician, Aggers Ashes is the only companion you will need to relive those glorious days when history was made Down Under. Copyright © 2013 Roger Field. All rights reserved.